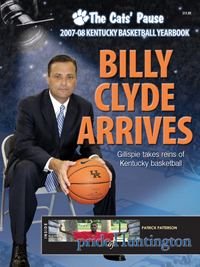 As the Cats prepare for their first NCAA Appearance Under Coach Gillispie's leadership in March 2008, the story in this link appeared to summarize the season long struggle that the Cats endured as Coach Gillispie implimented his expectations and demands upon the team. Best coach: John Calipari at Memphis has built the best program, and Rick Barnes isn't far behind. Tom Izzo has the ring. But if my house was on the line for 40 minutes of basketball, I'd want my house, and those 40 minutes, in the hands of Kentucky's Billy Gillispie. On March 9, 2008, the Cats completed their regular season schedule with a victory over two time defending National Champion Florida Gators on Kentucky's Senior Day, in honor of Joe Crawford and Ramel Bradley. This game represents a huge step along the way to restoring the Kentucky Basketball program to national prominence. After a 7-9; 1-2 start to the season, the Cats won 11 of their last 13 games to finish 18-11; 12-4, second place in the SEC East behind Tennessee [14-2] and tied with SEC West Champion Mississippi Bulldogs [12-4] as post season play begins. In his post game interview, Coach Gillispie addresses the toughness that this team developed, and his great pride for what this team achieved against great odds and obstacles. Listen to this Interview Here. On January 25, 2008, the Cats stand with a record of 8-9; 2-2 in the SEC. Jason King [Yahoo Sports] published an insightful article about Coach Gillispie and his early impact on the UK Basketball Program. This is a must read for all Big Blue Fans. This interview is a must listen for all Cat Fans wondering why the once elite UK Basketball Program is on such shakey ground today. De Courcy's answer is mismanagement over the last decade, Tubby Smith's watch. to the 2007 Big Blue Madness. 23000+ seats at Rupp Arena. Watch a slide show of the week of camping and waiting for the ticket distribution. Hall says Gillispie feels every player is either an overachiever or underachiever. His goal is to make every player an overachiever. “He takes players that are mediocre and brings them up. He is a guy that is going to get the maximum out of everybody from Mr. (Bill) Keightley to the managers,” Hall said. “I can't wait for everyone to see the little things he pays attention to. He'll also treat the managers just like another guy on the team. Same with walk-ons. He treats them all with the same respect. Players will learn that Gillispie means business off the court as well. Former coach Tubby Smith, who is now coaching at Minnesota in a much quieter basketball environment, either couldn't or wouldn't recruit with the passion that UK fans required. 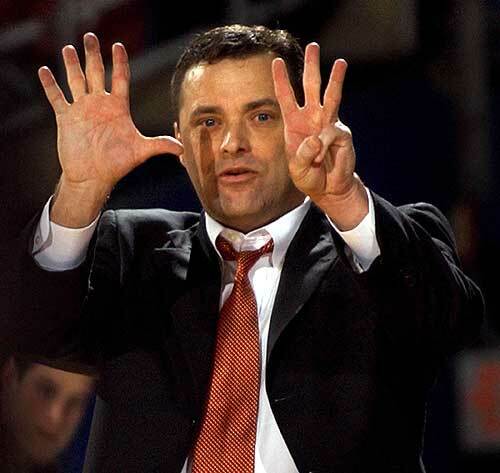 Gillispie has been so busy working the recruiting angles that until recently his "home" was a Lexington hotel. Soon after Gillispie was hired, athletic director Mitch Barnhart authorized a boost (thought to be around $300,000) in the basketball recruiting budget. The money was needed for charter flights. The school is considering purchasing a plane that could be used for both football and basketball recruiting. If there were any doubts Gillispie was the right man for the job, so far he's erased them. "We wanted Billy Donovan," said Elliott Walden, a former horse trainer who won the Belmont Stakes with Victory Gallop in 1998. "[Gillispie] has had to prove himself on the job. It gets down to his work ethic and then signing Patterson and Legion, that helped everybody's level of confidence in Billy." "We think he's one of us. 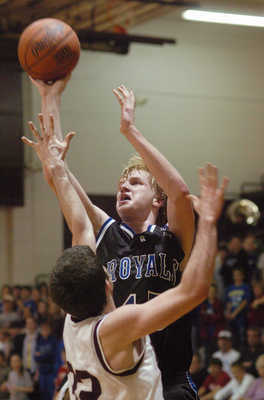 He talks like us," Cheeks said of Gillispie. "Right now I'm ecstatic that he's our coach. From the moment he was introduced, there's been an excitement around the program that hasn't been there in several years." The only thing that would make Kentucky fans more giddy would be the school's eighth national championship. Gillispie is working on that. Three months into his appointment as Kentucky coach, Gillispie's acquisition of talent has become college basketball's hottest story. The word is out. .... Billy Clyde Gillispie is on the scene. Sitting next to each other, looking as chummy as ever and dressing nearly like twins, were Bill Self and Billy Gillispie, two of the most powerful coaches in the sport. They are, have been and plan to remain close friends after spending time together at Tulsa and Illinois while Self was the head coach and Gillispie one of his top assistants. He's a pseudo traffic director for one of the country's most-followed programs, and that requires Stricklin to forever gauge the pulse of the famously rabid fan base, to always know what they are thinking, what they're saying, what they're posting about on any given day. "A huge recruiting win," said Telep, who noted the surprise that came with the timing of Liggins' commitment. Liggins was expected to make campus visits in the fall before making a decision. "To Kentucky's credit, they didn't let that happen,"
Another analyst, Brick Oettinger of the Prep Stars, saw Liggins as another reason to believe Gillispie has returned Kentucky to prominence in the recruiting arena. "That's what Kentucky always used to do," he said. "We haven't seen that in recent years. 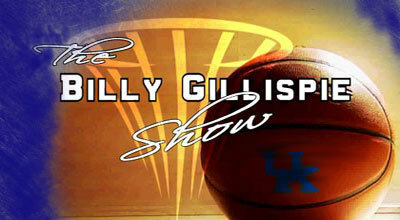 ... Obviously, he (Gillispie) is recruiting better than Kentucky's got from Tubby (Smith, the former UK coach), especially in the latter years. 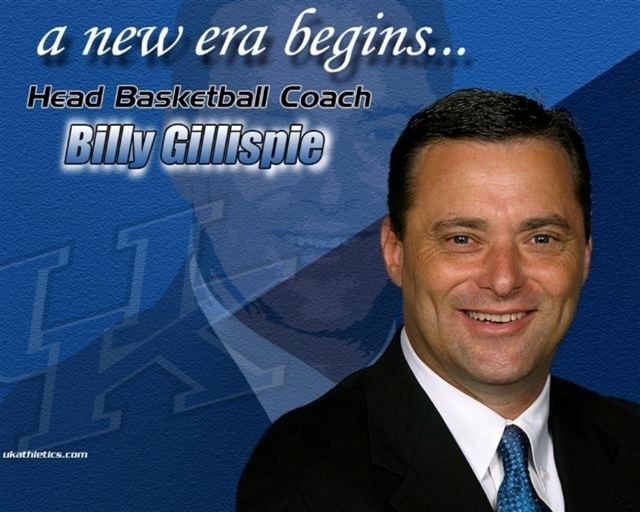 Billy Gillispie has done it again. 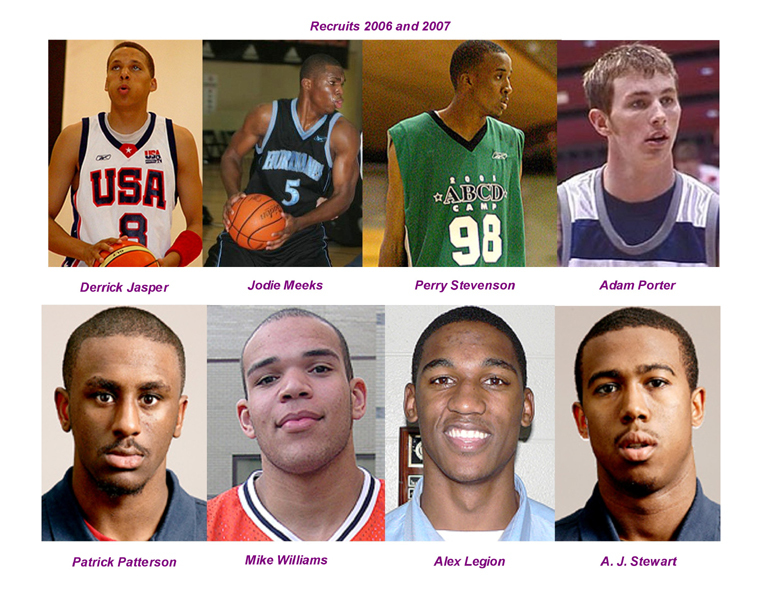 Since being announced Kentucky 's coach in early April, he has picked up a pair 2007 recruits, and has gained verbal commitments from the for class of 2008, 2009 and 2010. His most recent commitment came today when K.C. Miller decided to end his recruitment and commit to the Wildcats. Rotnei Clarke is BLOWN AWAY!!!! "Rotnei called me and said, dad, this is unbelievable. You are not going to believe this!" "Rotnei wants to play at a level he can contribute", says his dad. "At NBA camp, he was matched up against some of the nations best players. He did not feel like he had his best performance in that situation because he is not a selfish player at all, but he came away convinced he could play against anyone in the country." When asked if Conley expects a verbal commitment from Rotnei while is on campus he said, "His mother and I won't let him. We want to see it first and talk to coach Gillispie. He doesn't want to go to a school where he won't be able to contribute and we want to talk to coach Gilliispie first to make sure. We are going to get out there as soon as we can make it. July is a dead period...I don't know...we were looking at waiting till late signing period, but that's not going to happen. We don't want a situation like the Lucas thing where it drags on. Then we were thinking around December, but there is no way. I asked Conley directly if he was confident that a spot would still be available for Rotnei if he waits till August, "I don't know...that's why we have to get things done. I have to talk to coach Gillispie in the next day or two. If he doesn't call me, I'm going to call him. I've been in contact with him and Jeremy Cox a lot. He's not going to hold off if he knows Kentucky is the place he wants to go. He doesn't want to watch them winning national championships on TV while he is playing somewhere else." Coach Gillispie Already Has Commitments from two players who will not appear on the UK Campus to wear the Blue and White for one to three more years. In explaining why he quickly said yes to a scholarship offer from Gillispie, Euton noted how much he liked the UK coaching staff. "Coach Gillispie told me no coach will outwork him," he said. "I really liked that." Of more immediate help, Euton's commitment gives Gillispie's recruiting effort an appearance of gathering momentum. Euton joins G.J. Vilarnio, a high school junior-to-be from McKinney, Texas, as underclassmen who have committed to Kentucky since Gillispie became coach in April. Gillispie also has signed two celebrated high school seniors, McDonald's All-American Patrick Patterson and Parade All-American Alex Legion. Francis noted that when he asked Euton in December about college choices, Kentucky was on the outside looking in. Florida and Duke dominated the youngster's college basketball thoughts. The analyst saw the commitment as further validation of the new UK staff's recruiting abilities. "They showed they can recruit a player in their own back yard," Francis said before adding, "something missing from the previous staff's rŽsumŽ.'" Read the Entire Jerry Tipton Column HERE.